Lesions found in a fattening pig at an abattoir. These lesions, also known as “milk spots”, are the result of the migration of Ascaris suum larvae that, due to the irritation they cause give place to chronic interstitial hepatitis outbreaks. 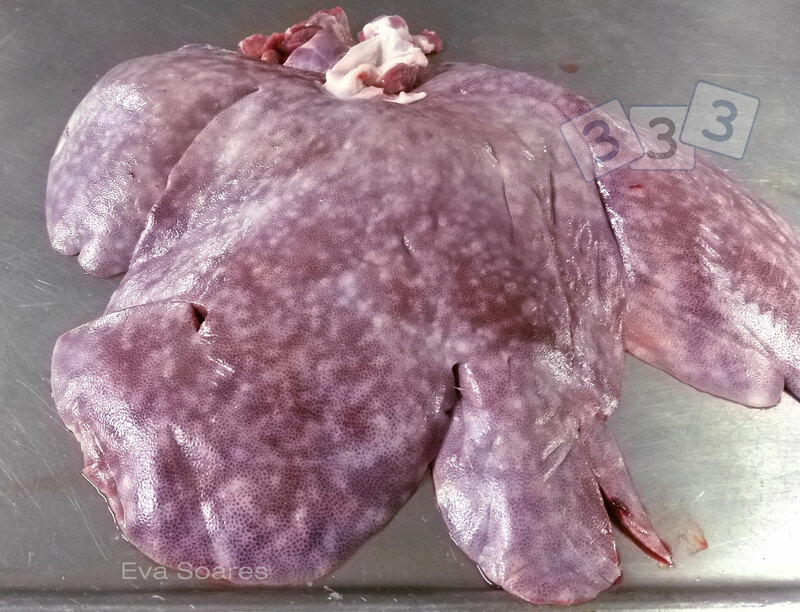 Initially, these lesions are haemorrhagic, and they later become better defined and white, appearing both inside the liver and on its surface.